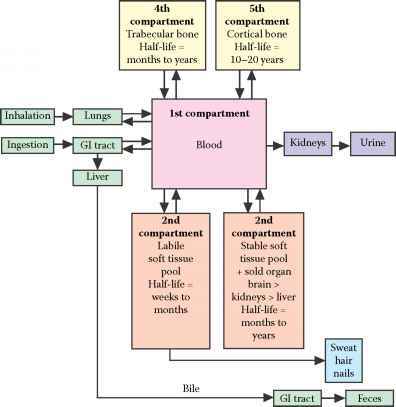 Feces figure 3.1 Ingested lead distributes in a three-compartment model. Ingested lead is distributed in a three-compartment model in which the heavy metal is initially distributed to a central circulatory compartment; then to a highly perfused visceral organ compartment; and finally to the least perfused third compartment composed of bone, teeth, nails, and hair. FIGURE 3.2 Ingested lead distributes in a five-compartment model. Ingested lead is distributed in a five-compartment model in which the heavy metal is initially distributed to a central circulatory compartment; then to a highly perfused visceral organ compartment; and finally to the least perfused third compartment composed of bone and soft tissues, subdivided into labile and stable subcompartments. Monitoring: Requires precision. Example: gen-tamicin levels. Screening: Requires sensitivity (Is a toxin present?). Example: employee urine drug tests. Diagnostic: Requires specificity (What is the toxin?). Example: forensic toxicology (tox) test. Mechanism: Identify the chemical reactivity, usually by a color change, between a drug and its specific reagent. Indications: Quick detection of single substances. Example: Urine ferric chloride test for aspirin. Mechanism: Convert target drugs into identifiable light-absorbing compounds. Indications: Co-oximetry (for carbon monoxide, cyanide, and hydrogen sulfide poisoning) and colorimetry. Mechanism: Wide application; use drug-specific antibodies to identify toxic antigens, often using fluorescent polarization. Indications: Employee urine drug testing; affords rapid turn-around. Thin-layer chromatography: Drugs are spotted and coated onto plates, then recoated with silica gels for identification by unique properties. High-pressure liquid chromatography: Drugs are separated as liquids under high pressure within tightly packed columns for identification by unique properties. Gas chromatography: Drugs are extracted as gases at specific temperatures for identification by unique properties. MS): Highest sensitivity/specificity; effluent gases from initial gas chromatography are then ionized and separated by mass spectrometry. 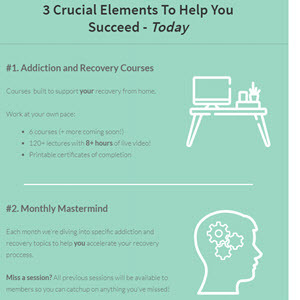 Example: opioid and amphetamine confirmation tests. Too polar (highly water soluble): Antibiotics, diuretics, ethylene glycol, isoniazid, lithium, metals. Too volatile: Anesthetics (nitrous oxide), hydrocarbons. Too nonvolatile: Plant alkaloids. Too low: Very potent drugs taken in small doses with resulting low serum concentrations — fen-tanyl, sufentanil, alfentanil, colchicine, lysergic acid diethylamide (LSD). Too toxic: Anions — bromide, cyanide, fluoride, nitrites. Too new: All new drugs whose unique phys-iochemical signatures have yet to be fully determined. Radiopacity = high physical density + high atomic number. Radiopaque medications will contain elemental constituents of atomic number greater than 15: most heavy metals, barium, bismuth, calcium, chlorine, iron, lead, potassium. CHIPS = anticipate radiopacity with: Chloral hydrate, heavy metals (As, Cd, Cr, Fe, Hg, Pb, Th, Tl), iron, phenothiazines, sustained-release, and enteric-coated tablets (ECTs). Illicit packers and stuffers. Mothballs: Para-dichlorobenzene (densely radiopaque) > naphthalene > camphor (radiolucent). Halogenated hydrocarbons: More chlorine groups contribute to radiopacity — carbon tetrachloride (CCl4), chloral hydrate, chloroform, halothane. Lead (arsenic) lines (see Figure 3.4). Fluorosis (children and adults): Otosclerosis, osteophytosis, ligament calcifications. 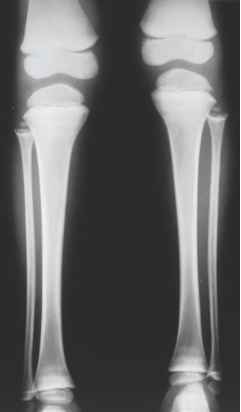 Pediatric hypervitaminosis A: Subperiosteal new bone and cortical hyperostosis. Pediatric hypervitaminosis D: Generalized otosclerosis. Corticosteroids: Diffuse osteoporosis and focal osteonecrosis (avascular necrosis, especially of the femoral heads) (see Figure 3.5). 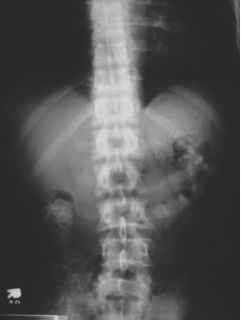 Adult hypervitaminosis D: Diffuse osteoporosis. Focal, lytic osteomyelitis: Intravenous drug users (IVDUs) with septic emboli to sternum and ster-noclavicular joints. 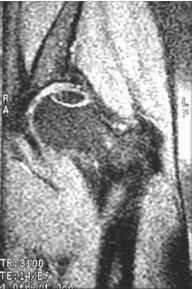 Distal acro-osteolysis: Vinyl chloride monomer exposure. Diffuse filling: Acute respiratory distress syndrome — noncardiogenic pulmonary edema = aspirin, opioids, cocaine (see Figure 3.6). Diffuse filling: Cardiogenic pulmonary edema-alcoholic and cobalt cardiomyopathy, barbiturate overdoses, cocaine cardiomyopathy. Diffuse filling: Cholinergic bronchorrhea = organophosphate and carbamate pesticides, inhalants, low solubility gases (nitrogen dioxide, phosgene). 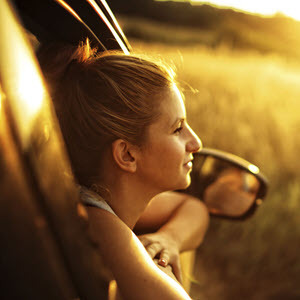 Focal filling: Aspiration, especially hydrocarbons. Reticulonodular pattern: Hypersensitivity pneumonitis (sulfa drugs — nitrofurantoin) and allergic alveolitis (farmer's lung, bagassosis). Interstitial fibrosis: Cytotoxic chemothera-peutics (busulfan, bleomycin, methotrexate, cyclophosphamide). Phospholipidosis: Amiodarone; injected particles in IVDUs from adulterated cocaine and heroin powders — talcosis from adulterated cocaine and heroin powders. Pneumoconioses: Asbestos, beryllium, coal, silica. Pleural effusions: Drug-induced lupus syndromes = hydralazine and procainamide; iso-niazid, methyldopa, chlorpropamide. 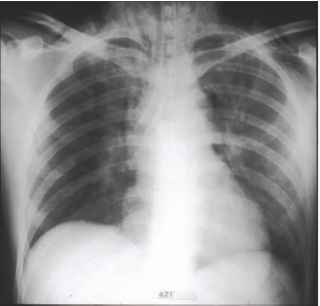 Pneumomediastinum: Caustic-induced esophageal perforation, ipecac- or alcohol-induced Mallory-Weiss syndrome. 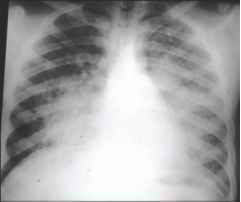 Pleural plaques: Asbestosis. Hilar lymphadenopathy: Phenytoin, anthrax. Cardiomegaly: Alcoholic and cobalt cardio-myopathy, cardiotoxic chemotherapeutics = adriamycin. 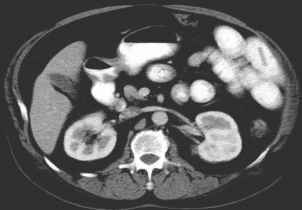 Pneumoperitoneum: Secondary to gastrointestinal perforation = caustics (acids, alkalis, iron), cocaine, ipecac, lavage tube. 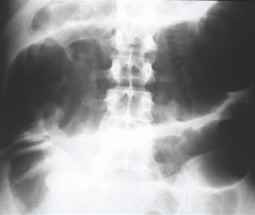 Mechanical obstruction: Secondary to gastric outlet bezoars, or small bowel obstruction = enteric-coated tablets, concretions, body packers and stuffers (see Figure 3.9). 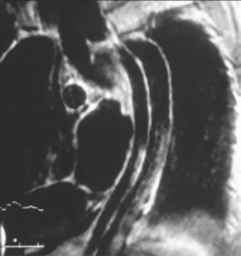 Ileus: Secondary to decreased gastrointestinal motility = anticholinergics, antihistamines, tri-cyclic antidepressants (TCAs), opioids, ischemic bowel (cocaine, oral contraceptives), hypokale-mia, hypomagnesemia. Intramural gas: Secondary to intestinal vaso-spasm, thrombosis, infarction = cocaine, ergots, oral contraceptives, clostridium derfringens toxin-induced pneumotosis intestinalis (pigbel). Radiodense foreign bodies = bismuth subsalicy-late, calcium carbonate, clay (pica), iron and other heavy metals, especially lead.